Thank you to everyone who recently participated in our Learning and Remembering Survey. We had 150 respondents from a wide variety of industries and many thoughtful responses to the open-ended questions. We used the survey results to create our 2017 Learning and Remembering Report. Our goal was simple: find out what knowledge and skills trainers find most important for their learners, what challenges they face when providing training, and how they plan to deliver training in 2017. Our report presents and summarizes the results. Then, I offer my five takeaways from the data. You can access the report here. This report is simply a snapshot. It represents the opinions of our clients and email newsletter subscribers over a two week period of time in early 2017. That being said, the results certainly align with the anecdotal evidence we see as we work with clients. While some survey questions were “select all that apply,” most were open-ended so participants could share their perspectives without being influenced by the answer choices we had created. We took the raw responses and put them into meaningful categories that emerged based on the responses given. If respondents said both “stakeholders” and “lack of time for training” were holding them back, we counted this as one response in each category. 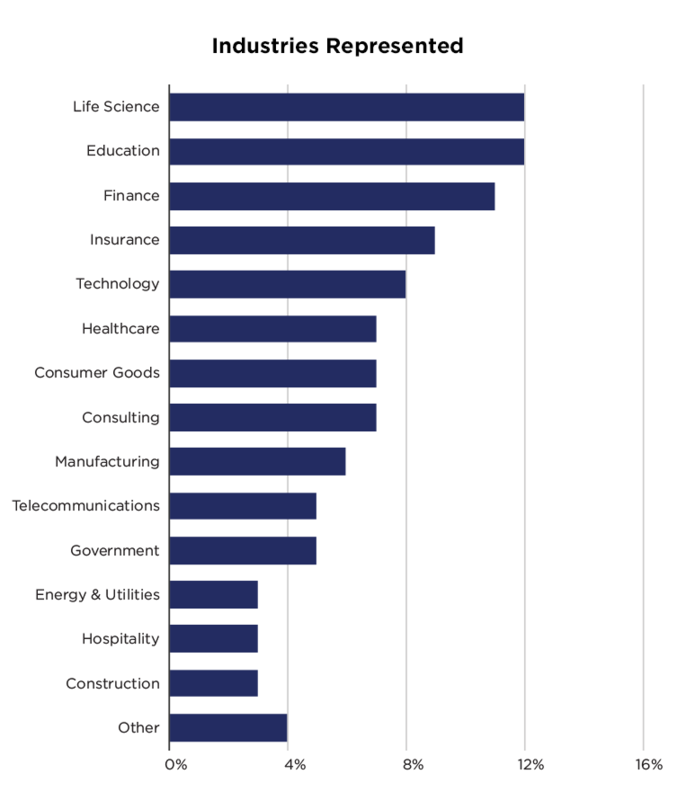 Since we sent the survey to our existing clients and contacts, the breakdown of respondents reflects the industries and company sizes we frequently work with. For example, life science (pharmaceutical, medical device and biotech) and healthcare companies are over-represented in the results. The majority of respondents work at Fortune 1000 or larger organizations. A large number of internal trainers at higher education institutions also participated, likely because of their interest in the survey topic. 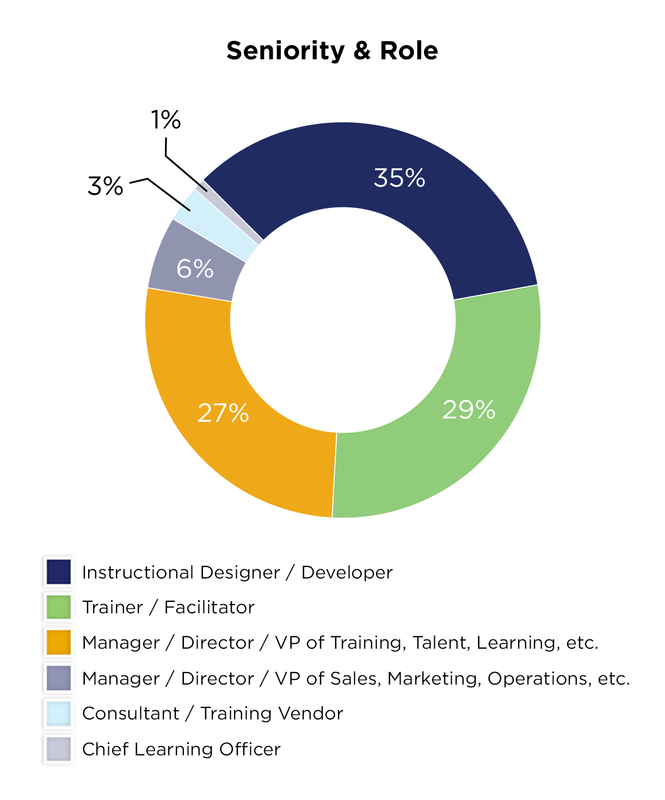 While nearly two thirds of respondents are instructional designers or trainers who develop or facilitate training themselves, this is somewhat balanced by the other one third that either manages a training team or leads another function such as sales or operations. What methods will you (or your organization) use to deliver training in 2017? What learning trend(s) or new training delivery method(s) are you most excited about for 2017? If you could improve ONE thing about learning & development and/or training at your organization in 2017, what would it be?